What Does Prequalify for a Mortgage Mean, Actually? What Does Prequalify for a Mortgage Mean? When you're told you have prequalified for a mortgage, it can give you some confidence about buying a home - but not much else. Here's what it means. Looking for a new home? Start by figuring out it what you can afford. A prequalification from a lender will estimate just how big a loan you can get. 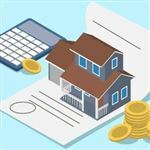 Prequalification doesn't commit you to a loan OR a particular lender. Keep reading to learn if you should get a prequalification and where to begin. What's the Difference between Prequalification and Preapproval? Prequalification is a basic measure of what you can afford. A prequalification letter won't impress sellers if you are trying to buy a house. They or their real estate agents will know that the prequalification does not provide any concrete answers to what you could afford. Prequalification is not a promise to lend you money. Lenders base their prequalification decision on basic information that you provide. Key Fact: Your credit score helps determine the type of loan you can obtain. Without knowing your score, a lender can only give you a loose idea of what you might receive. They may change their minds later if it turns out your score falls below a certain threshold. These figures help the lender determine how much you of a loan you "qualify" to receive. Simply speaking, prequalification sparks a conversation between you and a bank that you may want to do business with. Sometimes you could be prequalified in an instant. You fill out the information on a website. You don't even talk to a loan officer. Certain large banks offer an automated answer, as you get when applying for a credit card. This should give you an idea of how loosely regarded the prequalification is. Lenders use a prequalification as a lead generation system. This is why you may see online programs offering an instant answer. They use the information they obtain to market their products to potential clients. Talk to several lenders before you shop for a home. Because there is no commitment involved, you can shop around. This gives you a better idea of what's available. Your mortgage is a very large investment. You borrow large amounts of money that you agree to pay back over the next 15 to 30 years. The prequalification process can help find a bank you trust. The lender then uses this information find a loan amount you may be able to afford. Keep reading to learn some ways to make the most of this process. There are numerous loan programs available today. FHA, USDA, VA, and conventional loans are a few types you may hear about. Take the time to familiarize yourself with these loan options. 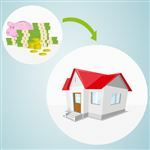 If this is your first time hearing these terms, read our article Different Types of Mortgages to learn more. Finding a lender takes a lot of work. The prequalification stage is the perfect time to handle this task. 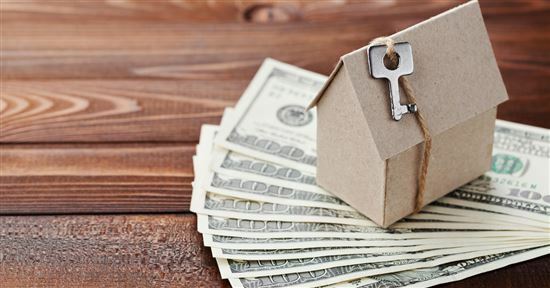 Because you aren't looking for a commitment, you can check out what different lenders offer. When you apply with certain lenders, you may discover that you do not like how they do business. It's better to learn these things BEFORE you find a home. TIP: Research lenders online before you start shopping. Look at their various offerings and read reviews to see what others have to say. Treating prequalification as if it were your mortgage to get the most accurate answers. Before talking to lenders, take a hard look at your financial life. Start with your credit: You are eligible to receive a free credit report from the three credit bureaus annually. Request a copy from Equifax, TransUnion, and Experian. Now is the time to fix these issues. Talk to a loan officer in person: Make sure to bring your paperwork with you. It tells them what type of income you have, how much you make, and how much money you have saved up. Even though it's not required, think of this as an opportunity for the lender to tell you what you need to fix. Example: A lender may not accept recent large deposits in your checking account. They may recommend that you wait until the funds are in your account for at least six months before applying for a loan. This process is called seasoning and means sitting in your account for a specific amount of time. Inflating your income, minimizing your debts, or exaggerating your credit score will not help during the prequalification process. Once you provide documents for lender verification, the truth will come out. The lender will then be unable to qualify you for the loan they estimated you could afford. And you won't be able to move forward on your home unless you can find another lender. Once you secure the prequalification, you need to take things a step further with a preapproval. 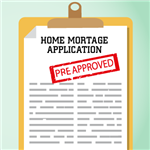 To learn more about the preapproval process, read Mortgage Pre-Approval. If you were honest about your income, debts, and credit score, the amount may mirror the prequalification. But certain things may make the amount different. The lender may calculate your income differently than you do. This can happen in the case of hourly employees or those working on commission. Other issues that pop up include debts you forgot about or a lower credit score than you thought you had. The prequalification process provides guidance regarding what steps you should take next. If you have things to fix, the lender can point you in the right direction. A prequalification doesn't cost money and does not commit you to anything. At the very least, it keeps your home search within a reasonable budget. It also lets you know where you stand. The home buying process is stressful. Anything you can do to make it less complicated is well worth it. Leave a comment about What Does Prequalify for a Mortgage Mean? A high-yield savings account is a safe place to open and grow your money. Read on for the top savings accounts to earn interest. Share on Facebook "What Does Prequalify for a Mortgage Mean?"